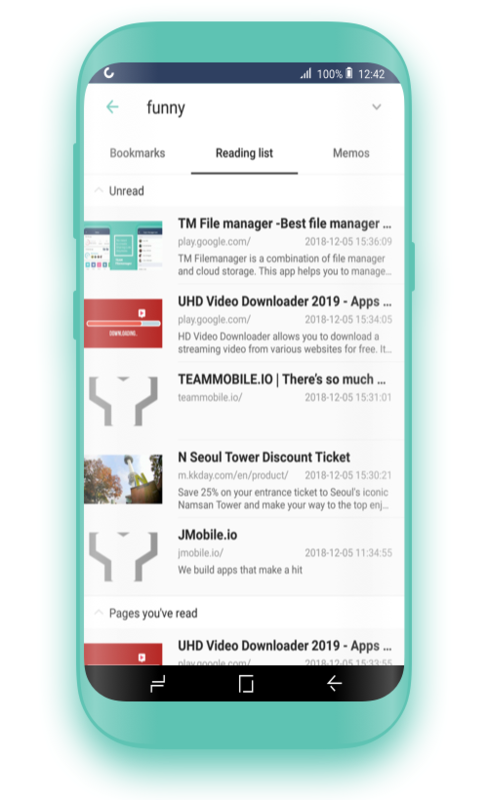 TM Browser is a free web browser app with team sharing feature. Experience a fast, smart, and handy web browser! You can use it by yourself or with family, friend, and team members. Say goodbye to slow browser and upgrade to latest smart web browser today! Create a team and invite people to join your team. 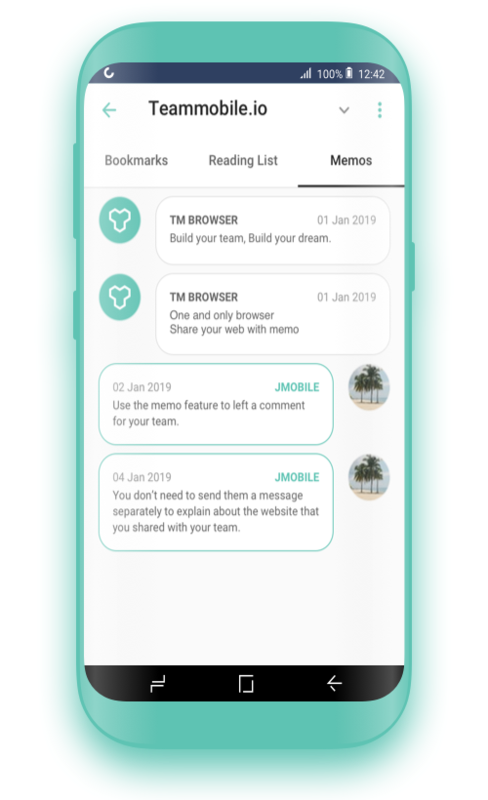 On your team menu, you can share bookmarks and reading lists by just adding them. It is the easiest way to share websites for multiple people on web browser! 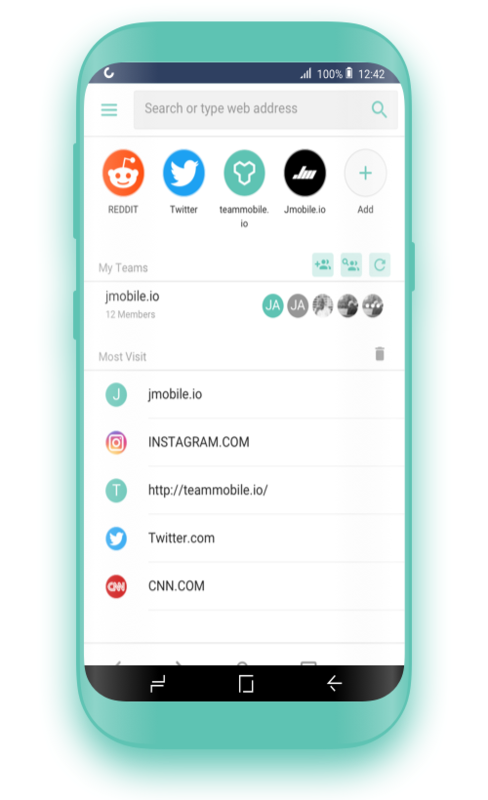 Use the memo feature to left a comment for your team. You don’t need to send them a message separately to explain about the website that you shared with your team. 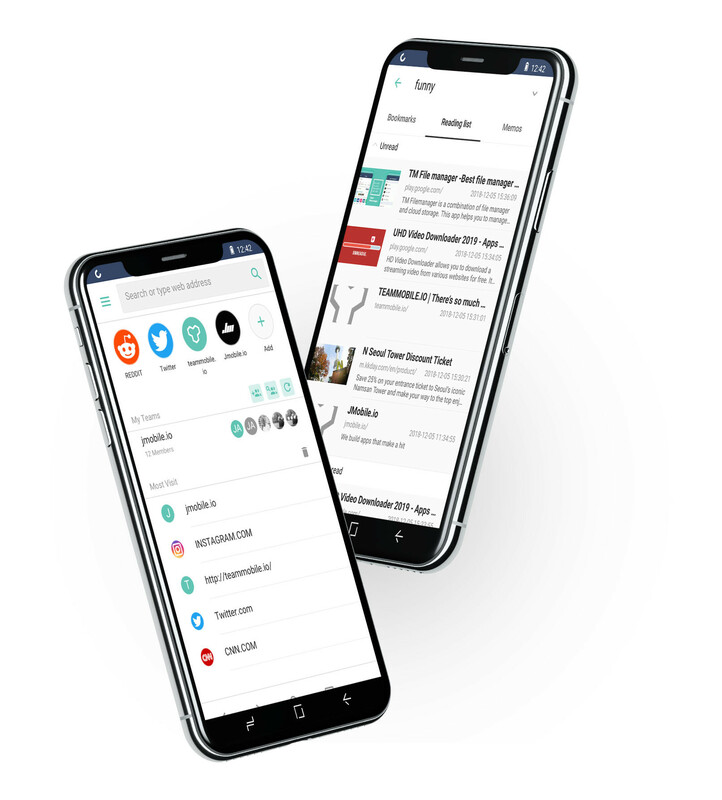 You can use TM browser for just you, just with team, or both! Your personal browser and shared browser are separated so you don’t need to share all of your personal bookmarks or reading lists to your team. All basic web browser features are upgraded! 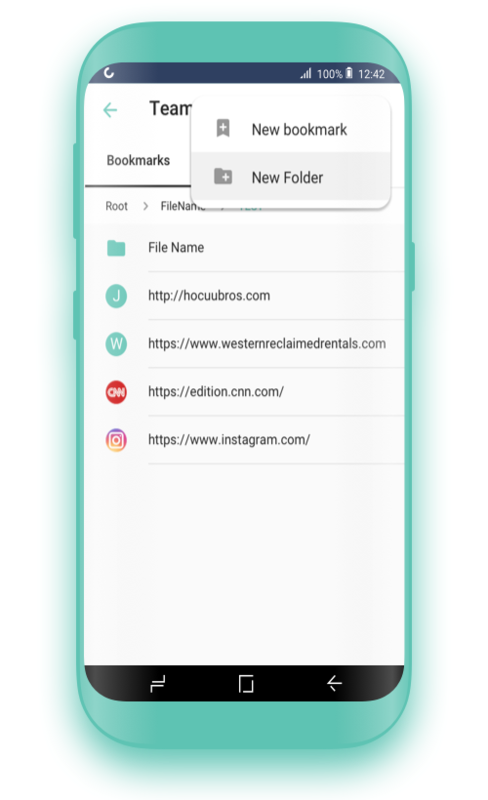 Bookmarks and reading lists will help you save websites to visit again easily and frequently visited sites will located in the main screen so you can access the websites conveniently. It’s fast and easy to use!